There were a very lucky 3 Powerball jackpot winners from Southern California, Florida and Tennessee who won the record-shattering $1.6 billion jackpot on Wednesday January 13th, 2016 drawing, according to the California Lottery Association. One winning ticket was sold at a 7-Eleven store, located at 4092 in Chino Hills, California, said Alex Travesta, a spokesman for that state’s lottery. The store will get a $1 million bonus for selling the ticket. The winners can option for annual payments over decades or a lump-sum payment, but they have to pay 39.6 percent of the prize in federal income taxes, in addition to any state taxes. None of the winners’ identities have yet been revealed. This Estimated Powerball jackpot have been steadily rising since Nov. 4, 2015 when the jackpot was reset at $40 million. The jackpot amounts which are released daily, reached record levels after 20 drawings without a winner and estimated to grand-prize of nearly $1.6 billion. California had 12 tickets that matched five of the six numbers in the drawing , but not the Powerball. Those tickets were sold in the following cities: Nipton, Chula Vista, Santa Rosa, Santa Cruz, Santa Monica, Tustin, Pacoima, Vacaville, Cloverdale, Redlands, Gardena, Irwindale. 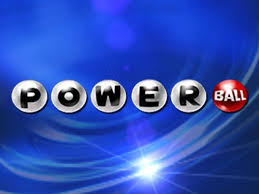 Powerball winning numbers for Wednesday, January 13, 2016 are 4, 8, 19, 27, 34. The Powerball number is 10.